Marriage of George Wheelhouse and Harriett Taylor. See note below. Photo courtesy of Mr N Collins. I would be interested to know if you or your father are or were related to the Wheelhouse family who lived in or near the Brick works or lane in Killamarsh. My grandmother was Mary Wheelhouse. Looking forward to hearing from you. 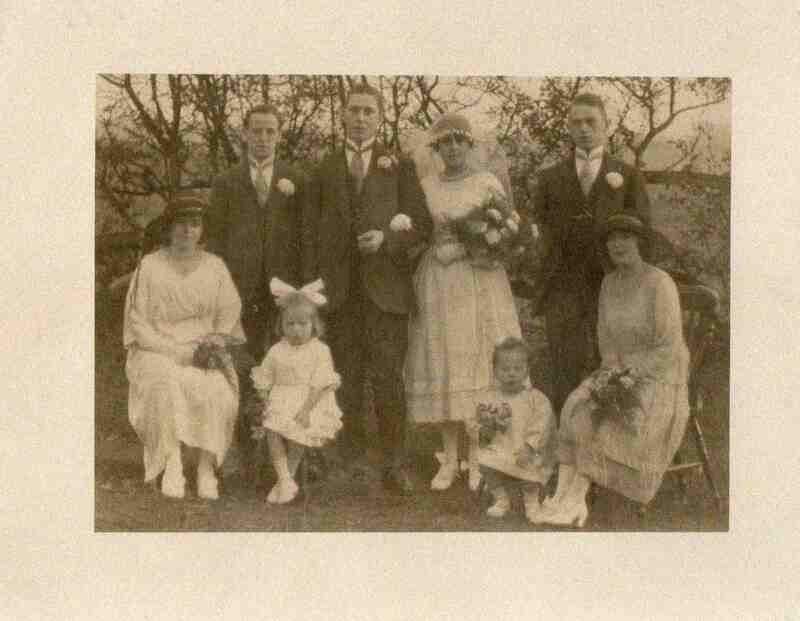 The marriage of my parents George Wheelhouse and Harriett Taylor. Seated: Lesley Ward, Unknown, Joe Taylor, Hilda ?